The old question kept coming back: Would the extra calves really pencil out if the center stocked 1,100-pound cows instead of 1,400-pound cows? And then more questions: Would those small cows actually carry the load? Could they be competitive with mainstream beef production? 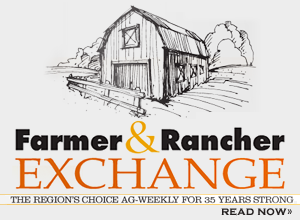 Since the mid-1990s, the Dickinson Research Extension Center has been gathering data regarding the small cow/big cow discussion. We started breeding larger heifers with Aberdeen bulls (formally Lowline). Some pieces of the puzzle are starting to make sense. 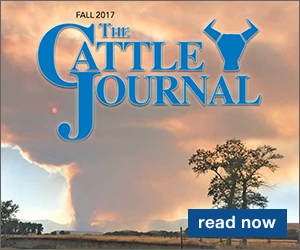 The center just recently put on a workshop regarding beef cattle efficiency, and the story of opportunity continues. More and more, the answer to the practicality of taking 300 pounds off the size of a mature cow makes sense. However, the expanded questions regarding the efficiency of the beef cow are very complicated and those pieces will evolve, and putting the pieces in play within the industry is still a bit elusive. But for now, finding the pieces has been a good journey. The center's start with "smaller cattle" was for calving ease. Production of marketable offspring at harvest was the same standard as used for all bulls, and the Aberdeen bulls were held to the same standard. The one-half blood Aberdeen steer calves grew, fed out well and had acceptable harvest weights of around 1,250 pounds. The heifer mates remained at the ranch, grew up and moved into the production herd. Eventually, the center's Aberdeen-influenced herd grew and the cattle were incorporated into the center's herd. At the request of the center's range department to utilize a cow that matured closer to 1,000 pounds, the Aberdeen-influenced females were placed in the production herds grazing primarily the range research pastures. For simplicity sake, the Aberdeen-influenced herd was called the "Range" herd. The majority of the center's cattle remained as the "Beef" herd. Based on individual animal performance, the cattle in the "Range" herd did not outperform cattle in the "Beef" herd. However, things changed when stocking rate calculations were done. Let's assume up to 30 percent more calves, all slightly smaller, were coming out of the "Range" pastures. Keep in mind, the 30 percent will vary, depending on actual cow weights, but for simplicity, I am going to say 30 percent. The "Beef" calves weighed almost 640 pounds when adjusted to 205 days of age. The "Range" calves were at 535 pounds when adjusted to the same age. So, ponder this cow math: 100 "Beef" calves should weigh in at 64,000 pounds (100 calves times 640), while the same size pasture with similar grazing opportunities, if stocked with "Range" cows and calves, would bring in 130 calves for a total of 69,550 pounds (130 calves times 535). The difference: 5,550 extra marketable pounds in favor of the "Range" herd. Now, these figures are based on 100 "Beef" calves and then adjusted to account for the number of "Range" calves, but regardless of what herd size is picked, the 30 percent more cow-calf pairs allotted to pastures when mature cow size drops 300 pounds is always there. Cow math using smaller cows increased cow-calf pairs to achieve the same stocking rate. Let's get back to the original questions: Would the extra calves really pencil out if the center stocked 1,100-pound cows instead of 1,400-pound cows? Would those small cows actually carry the load? Could they be competitive with mainstream beef production? The answer surprises me. After more than a decade of work, the utilization of the Aberdeen cattle to probe the thoughts behind the 1,100-pound cow continue to provide an opportunity to better understand the "smaller" cow. For instance, dry conditions forced the center to reduce cow numbers, but 29 of the older F1 Aberdeen-influenced cows are still around, grazing the range pastures. In preparation for the workshop on cow efficiency, the center identified 10 of those cows that had produced a steer calf in 2015 and the steer was harvested with carcass data. This group of 10 cows had averaged 1,120 pounds across several weaning years and weaned an average of 511 pounds of actual calf weight. As a percent of body weight, the 10 cows weaned 45.6 percent of their body weight. And looking at the last harvested set of steers, these same cows produced harvested beef on the rail that averaged 891 pounds. Let me repeat that: 891 pounds on the rail as hot carcass weight. You know what? That is 80 percent of maternal cow weight on the rail. Not bad! And what was the question again? Would those small cows actually carry the load? Could they be competitive with mainstream beef production? Without a question, the efforts at managing a production unit of cows that average 1,100 pounds of mature weight are real. It's time to get serious.